G-FORCE Racing Gear’s Pro Series 6-pt Camlock Harness is an FIA 8853-2016 rated premium harness belt system that supports most helmet restraint systems like the HANS. 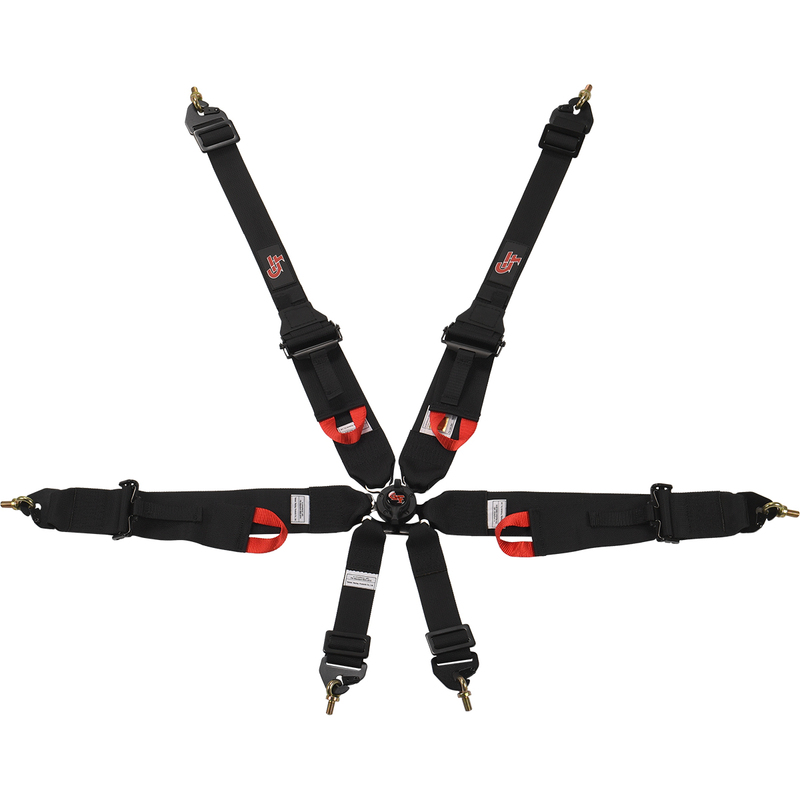 This set is a dual-sub, 6 mounting point system with pull-up lap adjustment perfect for the Exocet. The shoulders begin at the lap as 3 inch standard belts, attach to the lightweight E-Z aluminum adjusters and reduce to the 2 inch webbing to accommodate most helmet restraint devices. All adjusters feature Speed Pull Tabs for easy tension release. This set comes with Midnight Black clip-in hardware. The lap belt mounts are sewn in while the shoulder and sub points are laced in and can be removed for wrap around application. Lap adjusters are made with Anti-Slip Springs for added security.